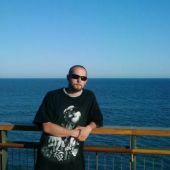 Whats Up, I am a drummer for a local band(DTS) & A Guitarist For A Acoustic Cover Band(AP) - Music Is my life - Into Football and Hockey(Go Steelers - Penguins) - Like the outdoors but got love for da city(J*town Reppin). wow you're a cutie, 10! i heard that PA got dumped on this past weekend with snow. how much did yall get. oooooooooopss......................some go thru and some don't!!!!!!!!!!!!!!!!!!!!! Wanted to show sum luv!!!!!!!!!!!!!!!!!!!!!!!!!!!!! why thank you 10 back atcha! so you by the Penn University? Hey what part of Johnstown you in? Page generated in 2.9565 seconds.